Holistic health is an approach to health that takes into consideration all aspects of life. A long term course of action includes emotional and spiritual health along with the physical body. Modern medicine focuses on treating a symptom rather than the root cause. If a person is experiencing a symptom or chronic condition, the problem has most likely been developing for some time. The goal of holistic nutrition is to facilitate a health recovery plan as well as build a strong foundation for long-term optimum health. Food not only provides the energy needed to function, but also supplies the nutrients which are required to build and regenerate body tissue, bone, muscle, fat and blood. The nutrients in food are also necessary to produce substances for the chemical processes that take place in our bodies. Do you feel like you can not keep up with the latest nutrition news because it is always changing? While it is true that what is known about nutrition and diet is evolving, there are some nutrition basics that can help you sort through the latest research and advice. Mastering nutrition basics comes down to understanding the roles that specific nutrients play in a healthy diet. Want to go beyond the basics? Talk to your doctor or a dietitian for personalized dietary advice that takes into account your health status, lifestyle, and food preferences. Develop an understanding of the basic nutritional terms such as: calories; carbohydrates; proteins; vitamins; minerals; fiber; cholesterol; and saturated, monounsaturated, and polyunsaturated fats. Also consider your health risks. For example, do you have high cholesterol or high blood pressure? If so, follow a diet low in salt, saturated fat, and cholesterol, and high in fruits, vegetables, whole grains, and healthy fats. For personalized advice, talk with your doctor or a dietitian. Develop a plan to choose wisely between organic, natural,and conventional food products. One of the major obstacles in achieving good health today is having to cook for yourself. Healthy cooking for one and healthy cooking for a family can be challenging in a society dependent on fast or convenient food products. Finding simple ways to prepare meals for yourself or your family will not only lead to improved health but can save you money as well. There are great advancements being made toward understanding the human body’s delicate balance and the way our health, diet, and nutrition are all connected by energy. Some of today’s most respected doctors and scientists are finally collaborating in what often is referred to as integrative medicine. To further educate yourself we suggest referring back to this site for information, consulting a variety of possible education plans, and researching the numerous publications that are available online and in print. Heart and Health, PLLC provides holistic medicine, holistic alternative medicine, natural supplements and natural therapy. 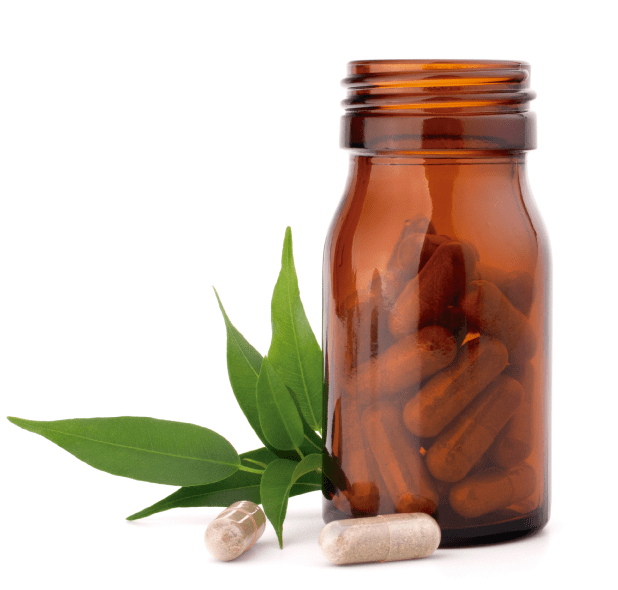 We supply only the highest quality holistic alternative medicine, including minerals, vitamins, herbs, and hormones. At Heart and Health, we believe that the human body is a natural system, which, when diseased, may be better served by using natural healing remedies to achieve optimal health. Rather than medicate the body with synthetic drugs to treat the symptoms of a particular illness, we believe in a holistic approach where we determine the underlying causes of that illness instead. This is done through a simple, non-invasive screening process that allows us to identify the source of the symptoms that the body is experiencing, and treat it accordingly. By doing so, we are able to prescribe a health program that is tailored to the specific needs of each patient, using only the highest quality nutritional supplements, including vitamins, herbs, natural hormone treatments, and homeopaths as natural alternatives to conventional prescription drugs. Heart and Health provides holistic alternative medicine for various health conditions, including alternative medicine for thyroid disorders and depression, natural supplements for weight loss and metabolism, and alternative medicine for energy. In addition, Heart and Health also offers natural supplements for arthritis, alternative medicine for pain relief, and natural supplements for heart, cholesterol, and bone health. Nutrition and a healthy diet lead to weight loss and a strong basis for optimum health utilizing a modern natural approach. 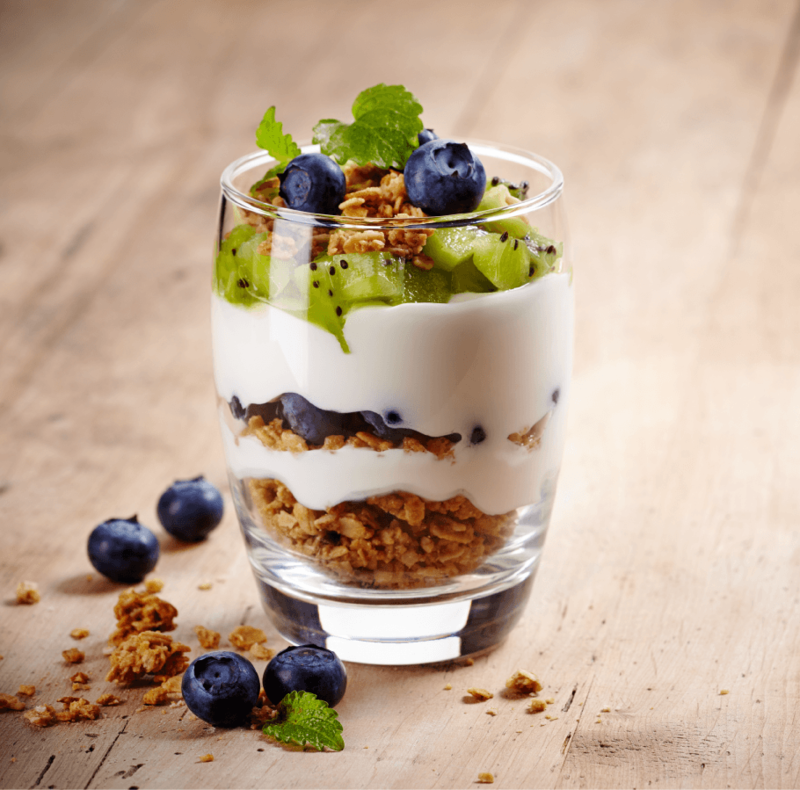 Why is it Important to Incorporate a Healthy Breakfast into our Schedules? Because of busy schedules, many people do not incorporate breakfast into their daily routine. There is no harm in having a few cups of coffee in the morning; however, coffee alone is not healthy for adults. In addition, the cereal that many parents give their children in the morning is loaded with nothing but sugars, flavoring agents and artificial coloring agents. Neither coffee nor cereal constitutes a healthy breakfast. First and foremost, parents need to understand that their children need to have a breakfast that is healthy so that their brains can work more efficiently. While children prefer sweet, brightly-colored food in the morning, it is not difficult to wean them over to eating healthy food. For instance, it is quick and very simple to scramble or fry an egg and toast a piece of bread, along with offering the child the cereal of their choice. Children might not immediately be willing to eat more than their customary bowl of cereal, but if the parents reduce the amount of cereal every morning, or offer oatmeal instead of cereal, the child will eventually become accustomed to eating their new breakfast and will make it a part of their daily regimen. What are the Benefits to a Healthy Breakfast? There is absolutely no harm in offering a piece of ham or sausage to a child in the morning, along with their toast and eggs. If serving oatmeal or another kind of hot cereal, place honey, dried fruits and nuts on the table for the child to add to their hot cereal. Introducing fruits and grains into breakfast benefits you and your child. Breakfast ensures that the child will not end up hungry shortly after they arrive at school and can now focus, concentrate on their assignments and stay awake through out the day. This is because an actual breakfast have a lot of vitamins and nutritional benefits rather than useless fillers. The vitamins and minerals found in a good, healthy breakfast provide the energy that a child needs to remain awake and active until lunchtime. There will be fewer instances of injuries and misbehaving as well, for children who eat a healthy breakfast will have better balance and coordination, as they will not be dealing with exhaustion, headaches or being hungry during early-morning hours. Adults need to eat healthy as well and unfortunately, most do not think they have time for more than just a cup of coffee in the morning. However, they can make a simple, yet healthy breakfast while they are waiting for coffee to brew. It takes minutes to scramble an egg, have a yogurt with a cup of fruit, have a protein bar, or even warm up a bowl of oatmeal. How can a Healthy Breakfast Build your Immune System? Even though most adults should incorporate fruit into their morning meal, just putting natural jelly on toast or eating a fruit bar is not sufficient. An adult that eats a healthy breakfast before they go to work will find that work is not as mind-numbing and boring when they when they only drank coffee in the morning. They will not want candy or cookies before lunch either, as they will not be hungry or tired and will have fewer cravings for unhealthy food. Eating a healthy breakfast helps build your immune system because more unprocessed foods have vitamins and minerals. Your bones will feel stronger and you wont feel in a daze anymore. However, one of the keys to a morning meal is eliminating chemicals and artificial colors, and replacing them with natural fruit and foods. Popular food and condiments such as butter, milk, salt and sugar are not inherently dangerous. Highly processed, chemical laden food makes breakfasts extremely unhealthy. Bacon is not a good breakfast meat simply because of how it is cured and treated; it is loaded with flavoring agents and chemicals to preserve the meat. Margarine is not a safe alternative to butter because it is also loaded with chemicals. It is always best to buy an item that is not in cardboard or a bag since chemicals may be transferred to the food. When choosing meat or eggs it is best to buy free-range or organic as these items have not been processed. Purchasing these items eliminates the chance of ingesting artificial growth hormones, synthetic chemicals, and pharmaceutical compounds when they want a piece of ham, a pork chop, or any other kind of meat. When choosing an oatmeal it is always best to buy a natural type such as stone-ground, which was not processed with any pesticides or preservatives. Spending a little more money on wheat or grain bread increases the nutritional value by more than half. Fruit and vegetables are the safest when they are bought fresh, because canned and frozen produce have chemicals added to them in order to enhance their flavor and keep them from going bad. Nevertheless, eating a healthy breakfast does not mean that anyone is restricted to bland and boring food. There are numerous spices that are ground, packaged and sold without having chemicals or colorants added to them. People do not have to eliminate their favorite breakfast foods, they just should look for natural versions of what they like. When an individual begins to eat natural food, they will see that a healthy breakfast tastes much better than an unhealthy one. You have probably heard people say that breakfast is the most important meal of the day. Eating a nutritious breakfast can help to reduce your risk of coronary heart disease (CHD) and diabetes. It also contributes to a healthier diet overall by adding important vitamins and minerals, such as thiamine, riboflavin, calcium, magnesium and iron. However, about 23% of adults and 10% of children skip breakfast, so miss out on this nutritional advantage. 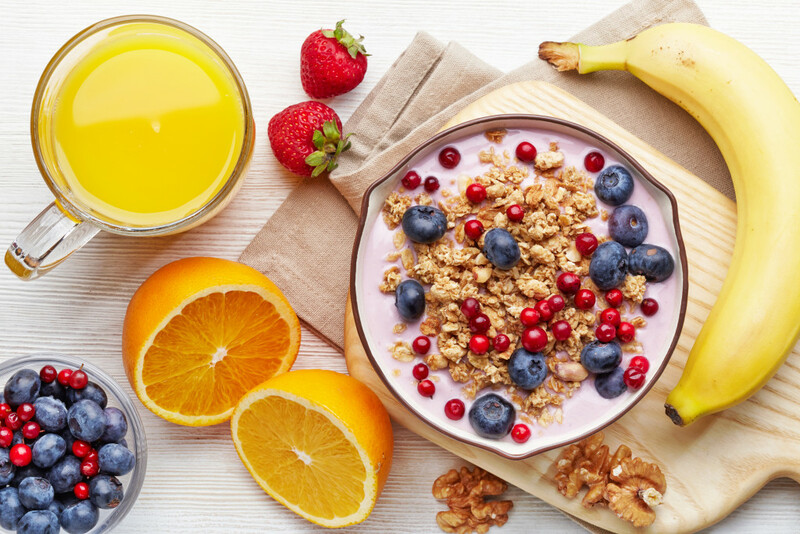 A nutritious breakfast includes a variety of foods, such as high fiber whole grain breads and cereals; vegetables; fruits; eggs; and reduced , low or no fat milk and dairy foods. The Dietary Guidelines for Australian Adults* encourage us to eat a variety of bread and cereals, preferably whole grain. Whole grain foods contain all parts of the grain. Eating them can help to lower your risk of chronic diseases, such as CHD, obesity, type 2 diabetes, and some cancers. They are also easy to prepare, nutritious and perfect for breakfast. Eating two servings of fruit and five servings of vegetables every day contributes to good health. Breakfast is a great time to include fruit and vegetables in your diet to help you reach this goal. Eggs are also an ideal breakfast food. A healthy balanced diet can include a serving of eggs (two eggs) in two to three meals a week. Remember that how you cook them is important. The healthiest cooking methods are scrambled (using reduced, low or no fat milk), poached, and boiled. *National Health and Medical Research Council. Dietary guidelines for Australian adults. Canberra: National Health and Medical Research Council, 2003. Available at: www.nhmrc.gov.au/_files_nhmrc/file/publications/synopses/n33.pdf. 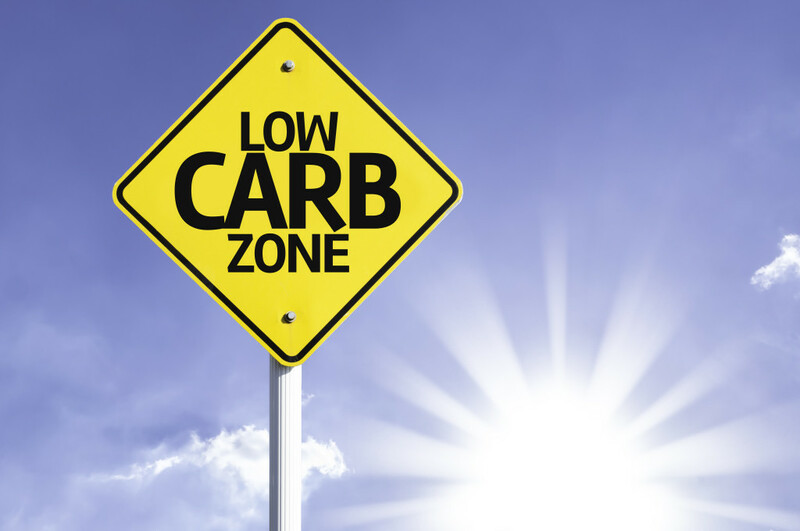 Within the last ten years, many scientific studies have proven that a low carb diet can help overweight people improve overall health, reduce weight and lower blood pressure. Although you cannot expect to lose a substantial amount of weight with a low carbohydrate diet, you can still improve your general health and cardiovascular function. 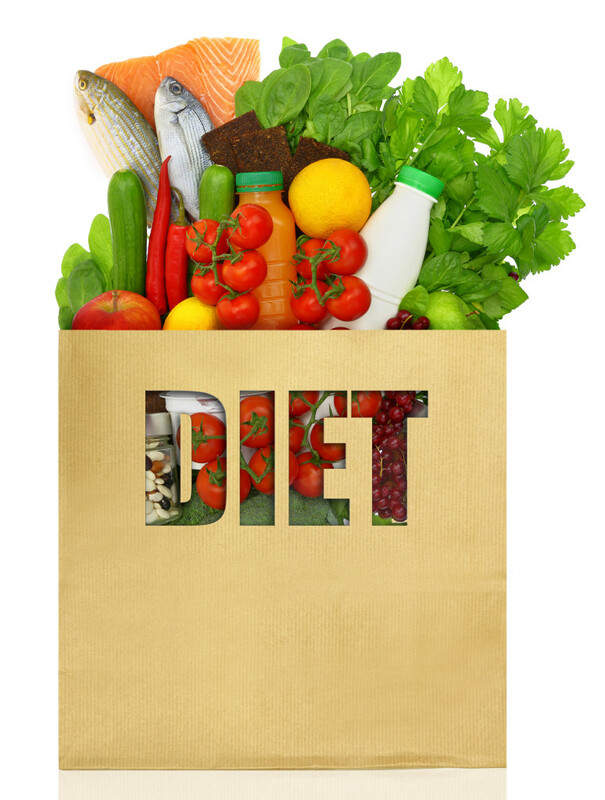 However, there are many other great benefits that you can experience from following a carbohydrate restricted diet. A low carb diet is about teaching your body how to maintain a healthy lifestyle without the extra fats and bad carbohydrates. By eliminating refined sugars, soft drinks, and other snacks and minimizing the amount of carbs you take in per day you will feel 100% better within a few weeks. By decreasing consumption of bread, potatoes, pasta, corn, and rice, you will feel more energized. The only carbohydrates that you should consume are in fruit and vegetables, however, limiting your intake is essential. When practicing this diet, you will need to replace carbohydrate consumption with natural healthy fats in order to provide energy to your body. This includes animal fat, dairy fat, and fat derived from plants. Once you have regained control of your health and weight, then you can reintroduce carbohydrates into your diet in moderate amounts. Exercise regularly in order to stay in control of your body, and avoid low-fat dairy products because they are usually rich in artificial sugars. Before you decide to begin a low carb diet, consult your physician and check your blood pressure, sugar, and lipids levels. If you take a few simple baseline tests, then the doctor will be able to determine if your body is ready for the change in lifestyle. Also, stay aware of what doctors and medical professionals have to say about the new diet; you may have to drink soup broth in order to replace the loss of sodium that comes from low carb dieting. There is a wide range of benefits that you can experience while following a low carb diet, but keep in mind that everyone’s body works in different ways. Scientific studies and years of research have finally proven that a LCHF (low carb high fat) diet can reduce weight in dieters. Although the amount of weight loss will vary between dieters, it will also depend on how dedicated you are to eliminating sugar and carbs from your diet. 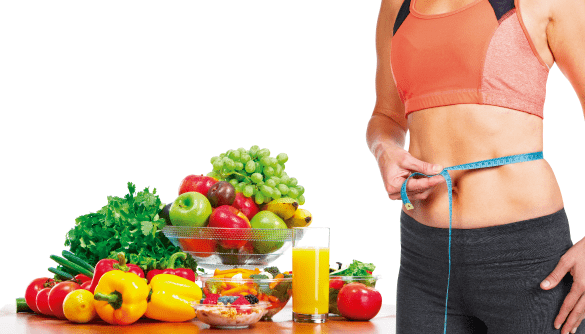 If you exercise regularly while following this diet, then weight loss is guaranteed. While high blood pressure is one of the greatest risk factors for heart disease and stroke, a low carb diet can lower your blood pressure to safe levels. Overweight and obese people are at a high risk for high blood pressure and cardiovascular disease, but following a LCHF diet will help regulate blood flow while promoting weight loss. Maintaining proper triglyceride levels is essential for cardiovascular disease prevention. High triglyceride levels is commonly associated with abnormal metabolism, obesity, insulin resistance, diabetes, and low levels of cholesterol. While there are many risk factors that can stem from improper triglyceride levels, studies have proven that a carbohydrate restricted diet can significantly lower these levels safely and efficiently. Cholesterol can pose a dangerous threat in low and high levels, and coronary heart disease as well as other cardiovascular diseases are directly related to improper HDL cholesterol levels. While low levels are associated with the risk of heart disease, a carbohydrate restricted diet will substantially increase blood levels of HDL cholesterol. CRP is a known indication of inflammation within the body, and it is usually measured in the bloodstream. This is yet another protein that can lead to risks of developing cardiovascular disease. Scientific evidence has shown that a carbohydrate restricted diet will lower the levels of CRP, which is another indication that LCHF diets can reduce inflammation. There are many other great benefits that a carbohydrate-restricted diet can offer. These diets are used for heart disease prevention, especially with obese people, and LCHF diets will help you maintain a healthy lifestyle while losing a few pounds. Although this diet is important for diabetics and people suffering from cardiovascular disease, it works differently for each person and is not recommended for everyone. It is important that you consult your physician before beginning a low carb diet, and make sure that your body’s nutrient levels are in proper condition to begin the diet. LCHF diets will not only reduce blood pressure, prevent heart disease and help you lose weight, but they will also promote a healthier way of living.